You’ve had your fill of wind chills, snowflakes, and down parkas. You crave a warm water dip with some sunbaked sand between your toes. Yes, it’s time to trade New England’s snowdrifts in for some Florida sand dunes. But with all of the Sunshine State’s fun-in-the-sun choices, it can be tough to narrow down your escape plan. Here are two tropical destinations ready and waiting for your seaside vacation to begin. No man is an island. But almost every man (and woman) loves escaping to one every now and then. Tropical breezes, toasty sands, waves lapping – what’s not to love? Enter Amelia Island, part of the Sea Islands chain of barrier islands in northeast Florida. With 13 miles of uncrowded beaches, this is the answer to your winter woes. 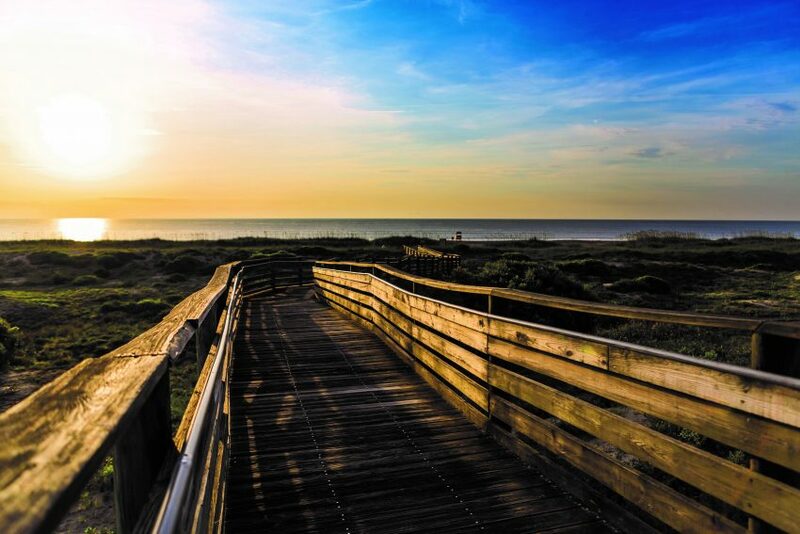 Amelia Island boasts natural Appalachian quartz beaches, sand dunes as high as 40 feet, and a never-ending list of activities as exciting as you please. 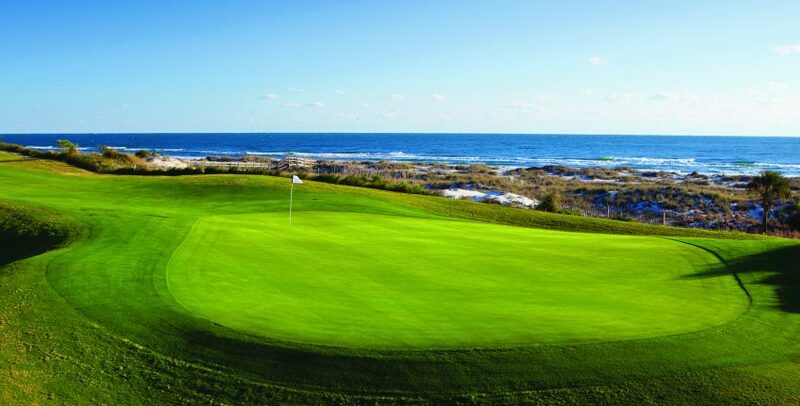 Glide through its waters in a kayak or on a paddleboard, drive a golf ball straight down an ocean-bordered championship fairway, or wrestle a big game fish out on the open ocean. 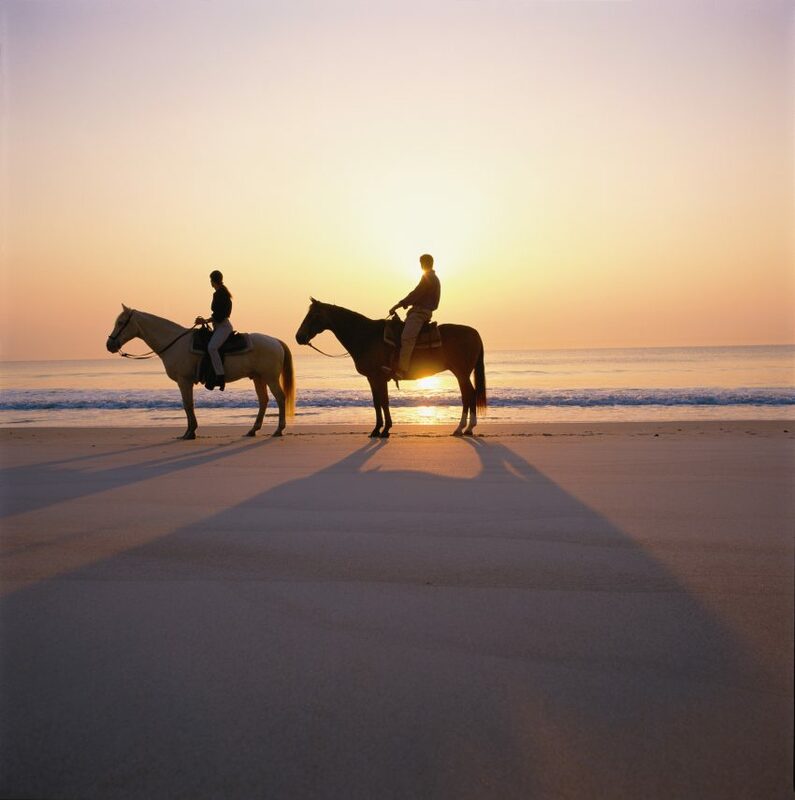 Take to the beach on foot for shark teeth hunting or shelling, or hop on a four-legged friend for an ocean-side horseback jaunt. 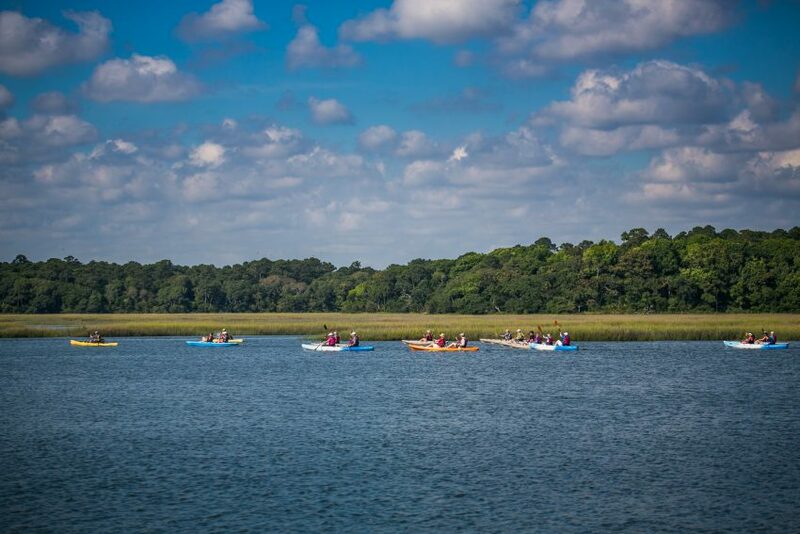 Because park preserves make up nearly 10 percent of the entire island, outdoor enthusiasts are never bored. There are nature trails, hiking, and biking, as well as 117 holes of championship golf for links lovers. Stroll historic Fernandina Beach, a 50-block historic district that embodies old Florida charm, Southern hospitality, and island lifestyle through unique cafés, eateries, and boutiques. When staying on Amelia Island, you also have your pick of top-notch accommodations, from luxury resorts like The Ritz-Carlton, Amelia Island, or Omni Amelia Island Plantation to charming B&Bs and inns. You don’t need to leave Florida’s coastline to enjoy all this southern vacationland has to offer. Located in downtown Delray Beach just steps from the ocean, the posh boutique Seagate Hotel & Spa is beach beauty meets city sophistication. 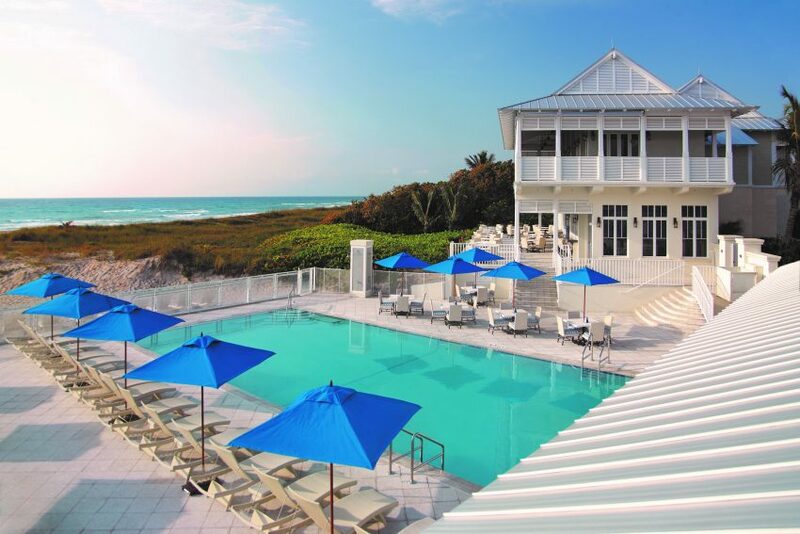 With championship golf at a world-class country club, oceanfront dining at a private beach club, and all the pampering you can imagine at its award-winning spa, The Seagate combines luxury resort with the intimate feel of a private retreat. The hotel pays homage to its ocean home with 7,000-gallon aquariums, a 2,500-gallon shark tank, sea-inspired décor, and three outdoor pools. When you stay at The Seagate, you’re instantly a member of the elite private oceanfront Beach Club, complete with access to beachside swimming pool, private ocean beaches, and water sports (think SCUBA, snorkeling, surfing, and more). When the sun sets, relax with a movie under the stars. As if the sand and sea weren’t enticing enough, Winter Stay & Play at The Seagate adds a complimentary 18-hole round of golf at one of Palm Beach County’s finest championship golf courses to your two-night hotel stay. Things are different in the sunny splendor of Florida, with miles of coastline and beaches to enjoy. It might just be a three-hour flight from Boston, but it’ll seem a world away. For more information on warm weather getaways, go to visitflorida.com.